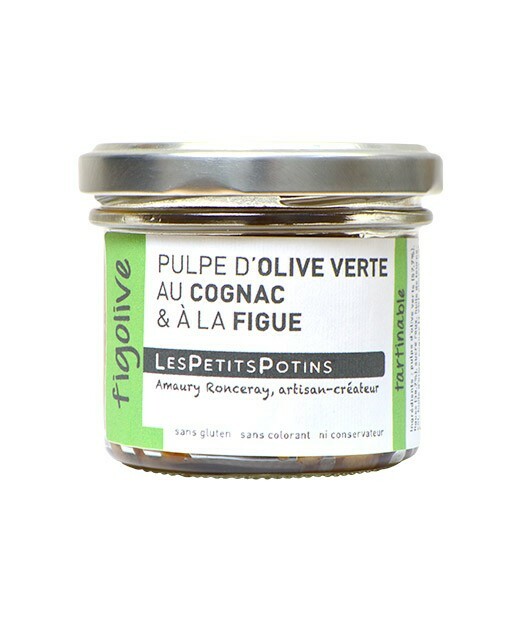 The green olive pulp with cognac and fig will thrill any fine gourmet. 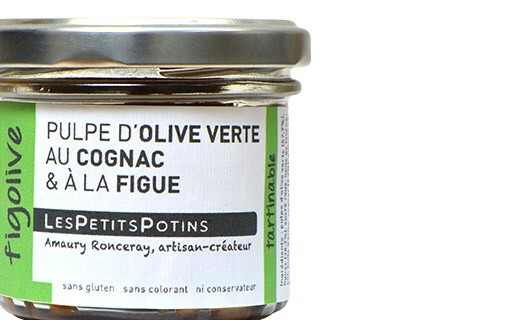 It is ideal used for aperitif, with duck filet or as a delicious on-the-side sauce. 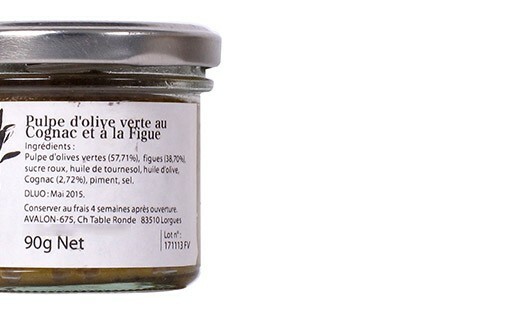 Green olive pulp (57,71%), figs (38,70%), brown sugar, sunflower oil, olive oil, cognac (2,72%), chili, salt. The mixture of green olive and fig is a must. This composition is a burst of Provençal flavours. Try this pulp, it will thrill any fine gourmet.